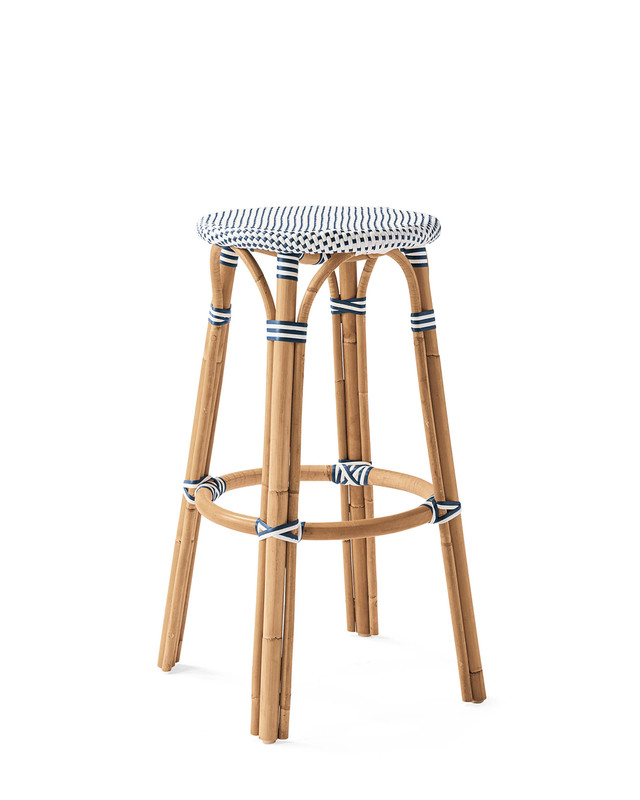 Riviera Backless BarstoolRiviera Backless Barstool, Navy alt="Riviera Backless Barstool, Navy"
Print A classic 1930s European bistro chair, reinterpreted and elevated to new heights. 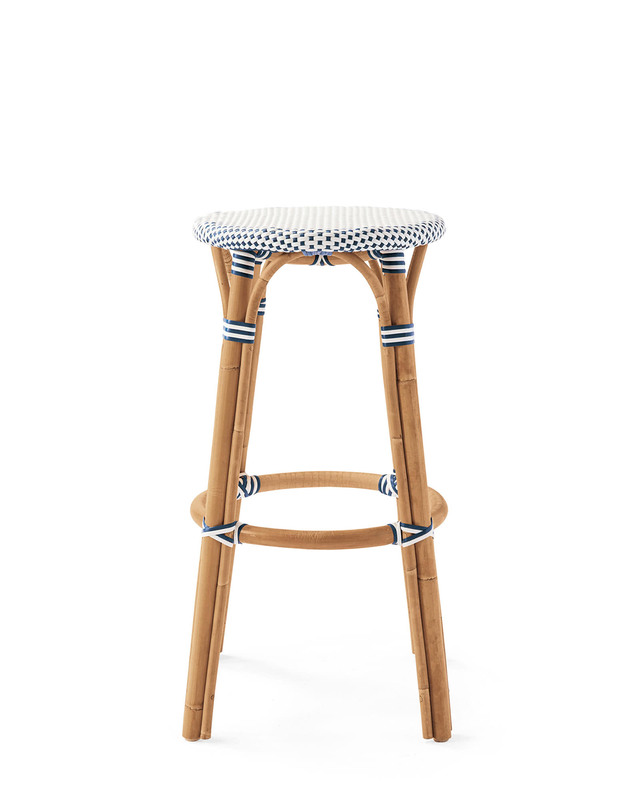 Handcrafted of sustainable rattan and woven plastic seats, it's great for the kitchen or the patio. 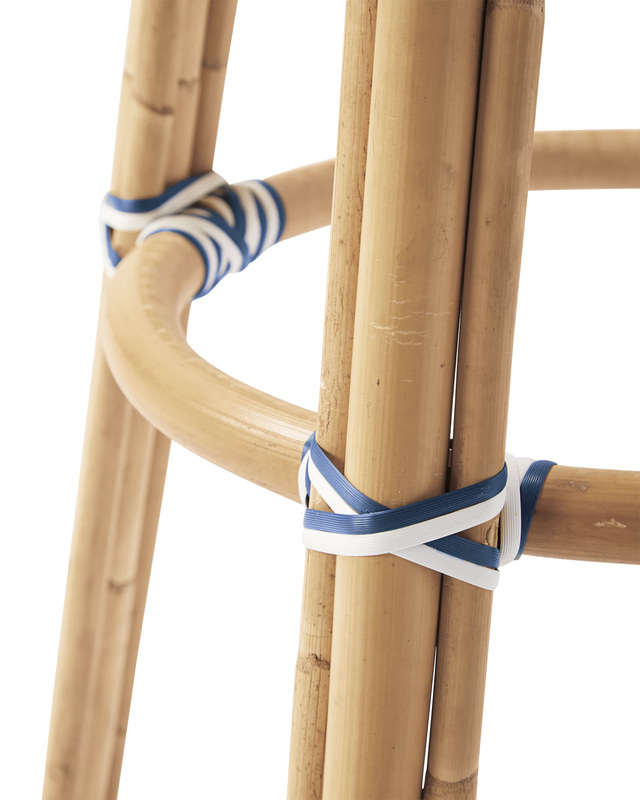 Look closely and you'll notice the wonderfully organic marks created while bending and stretching the rattan into shape – a time-honored technique perfected by the French. 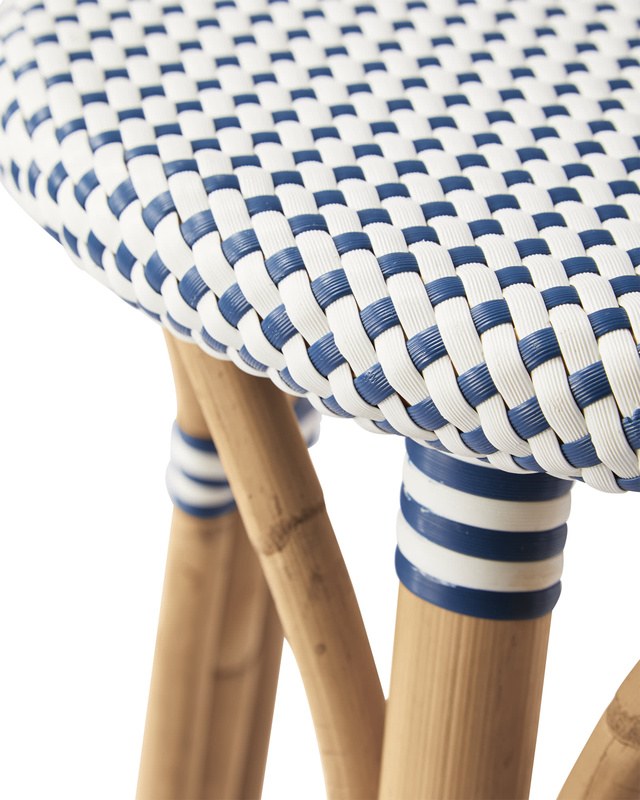 Try it with the other silhouettes in this collection (a slight variation in how the colors are woven keeps things interesting). Don't leave exposed to inclement conditions.